Nearly one-third of Germans say they have a negative perception of the European Union, ahead of elections in the political bloc in late May, according to a survey. While 31 percent said they have a negative perception, 57 percent assess the EU as positive, while 11 percent were undecided, data from the survey released Saturday by market research group Splendid Research shows. 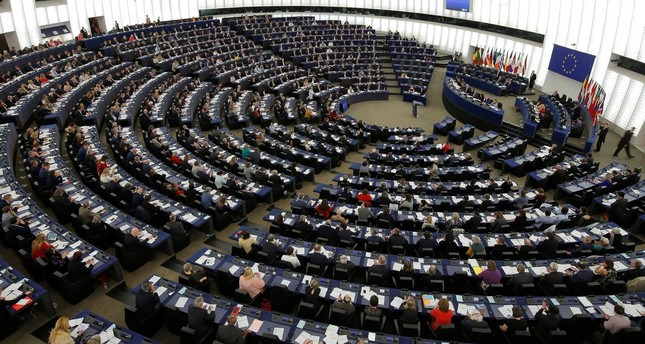 European Parliament elections take place May 26 in Germany, with anti-establishment forces hoping to make gains. A majority of survey participants named the lack of travel and work restrictions within the EU as positive aspects of EU membership, alongside having a common currency and the free movement of goods and services. The survey also asked participants about their opinion on Britain's exit from the bloc, with the majority saying Brexit will have negative consequences for the economy and political situation of both Britain and EU member states. A total of 85 percent said they would accept Britain re-entering the bloc after it leaves.